Fig. 1 – Intro text for capture the flag. If you follow our social media, namely twitter, you might have seen the two teasers of our brand new UI, earlier this week. This new overhaul is due to the fact that we just got two game focused multimedia designers for a three month internship. Among other things, they have been tasked with overhauling the entire UI, HUD, drawing game logos and redesigning the company logo. Anyway back on topic, showing you the new UI :-). Great news. We spend the last week making our game ready for a demo, because we would really love your feedback. If you read the devlog (of cause you have), you might know a little about the game already. If you haven’t, fear not, you can read it on the website, on Tigsource or on Gamejolt. For now you will have to play locally or against our AI in capture the flag and while you can play with keyboard, we strongly recommend that you play it with controllers. The online feature unfortunately is not ready for this demo, but will be included at a later date. In the last post I mentioned implementing gunplay game mode. We decided to rename gunplay to Deathmatch. In the past weeks we have generally worked a lot on the deathmatch mode. We implemented a gfx gun pack from this unity asset Modern Weapons Pack by FNProduction, to help our non-artistic programmers needs. All three modes will have different game types for example a game type could be last-man standing, first to ten or time attack. 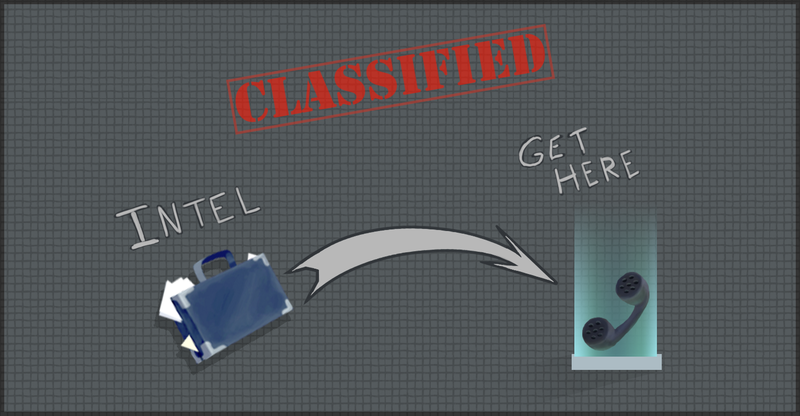 In capture the flag 2-4 players fight for the briefcase [the flag], when a player collect the briefcase, they need to deliver it at one of the extraction points.